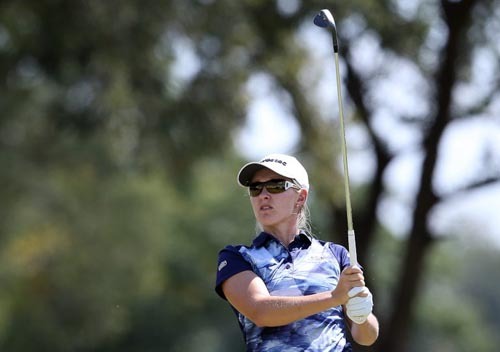 Nobuhle Dlamini, Ivanna Samu and Laura Fuenfstueck will want to reel in Stacy Bregman when the Investec Property Fund Order of Merit leader tees off in the R400 000 SuperSport Ladies Challenge, presented by Sun International, at the Wild Coast Sun Country Club on Wednesday. Bregman wants to strengthen her vice grip on the standings in the penultimate event on the Sunshine Ladies Tour before the season-finale Investec South African Women’s Open in Cape Town. The five-time Sunshine Ladies Tour winner is enjoying her best season yet and is keen to put more daylight between herself and her nearest rivals. 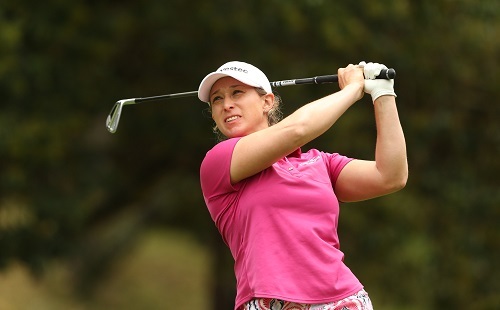 Bregman shot straight to the top of the standings with her victory in the season-opening Canon Ladies Tshwane Open and strung together an impressive sequence of top five finishes to anchor herself in top spot. She leads the standings with 1 635.00 points and, with a R100 000 on the table for the point list winner, Bregman wants to consolidate her lead with another stirring performance before the final event at Westlake Golf Club from 8-10 March. She enjoys a very handy 548.33 point advantage over Dimension Data Ladies Pro-Am champion Carrie Park and is 555 points clear of Joburg Ladies Open winner Ashleigh Buhai, but Park is fulfilling her obligations on the Korean LPGA Tour, while Buhai is campaigning on the LPGA Tour. It’s the trio behind Park and Buhai that pose a realistic threat this week. 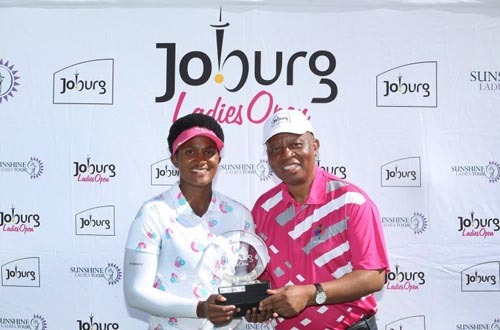 “I have a pretty big cushion and I want to keep it that way,” said the 31-year-old Country Club Johannesburg golfer after her practice round on Tuesday. It is big ask, even for Bregman, especially since she has never set foot on the daunting par-70, Robert Trent Jones designed course before her practice round. Fuenstueck became the fifth alternative winner this season and third international champion on the Sunshine Ladies Tour when she annexed victory in the SA Women’s Masters by a single shot and the affable 23-year-old German rookie is a strong contender to go back-to-back at the Wild Coast Sun. Dlamini has also been making noticeable strides this season with a sequence of good results. She let the chance of a maiden title slip with a double bogey at 14 at San Lameer, but rose to fourth spot in the standings on the back of a four-way tie for second place and feels that she is within touching distance now of a breakthrough victory. Playing a course with a layout similar to her home course, the Royal Swazi Spa Country Club, could just be what the big-hitting Swazi golfer needs to get inside the winner’s circle. The local favourite Melissa Eaton found herself neatly tucked into the runners-up cluster in the SA Women’s Masters and also feels she’s edging closer to a big payday.